How Many Books Does it Take to Get to Toronto? I equate travel with reading time. You’re stuck in an airport or an airplane for hours on end, so what else are you going to do? For me, I either knit or read or catch up on Welcome to Night Vale. Sometimes all three. So last Friday I decided to head to Toronto for a day or two to visit one of my critique partners. I’ll tell you how many books I read on Friday, and you can guess how long I spent in airports/on planes, okay? Let’s just say that I hoped to be on the first flight to Toronto on Friday, and I rolled into Toronto at ten o’clock Friday night . . . in a car. It was a combination of flying stand-by and plane mechanical failures. Yes, it was a long day–but apparently that sometimes what happens when you’re flying non-rev. Captive audience time aside, it was a Saturday with a friend, full of walking long distances on an injured foot/ankle, buying tea and French macarons in Queen West, talking about writing, and eating pretty much every hour or two. 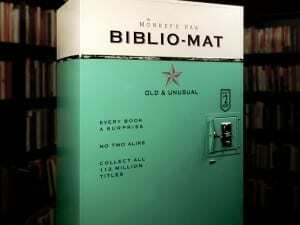 I was really excited to visit the Monkey’s Paw so I could see the Biblio-mat, but it was out of order. So I guess that’s a good reason to go back to Toronto eventually. Because I must have a book from the Biblio-mat! The Monkey’s Paw still came through, though–I walked out with a 1950 edition of Mrs. Beeton’s Cookery and a copy of Jean-Jacques Lecercle’s Philosophy Through the Looking Glass. Bull Dog Coffee. My critique partner and I had breakfast here. My latte and cranberry scone were so good I could have happily sat around there all day. Seriously–one of the best lattes I’ve had anywhere. Change Lingerie. I visited their Queen West location. I would not have gone in but for the glowing recommendation from my crit partner, and now I’m a big fan. Good quality, good fit, well-priced. Looks like I’ll be ordering my bras from Canada from now on. I know you’re wondering how the books were, right? Well, keep an eye on This Dark Matter, an online magazine I started with my crit partner. This Dark Matter is all about dark fiction–not just horror or thrillers, but all genres. If there’s a dark core to the novel, we’re covering it. 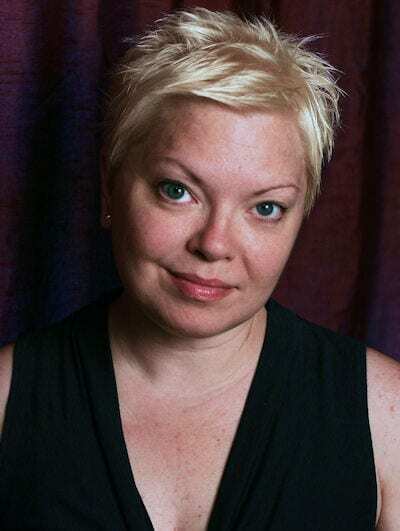 There’s talk about writing and publishing, pop culture, and a whole bunch of other stuff. I’ll be reviewing all the books I read over the weekend at some point. And we’re looking for contributors, so if you have an interest, do let me know. Previous post: I Am Not Embarrassed.